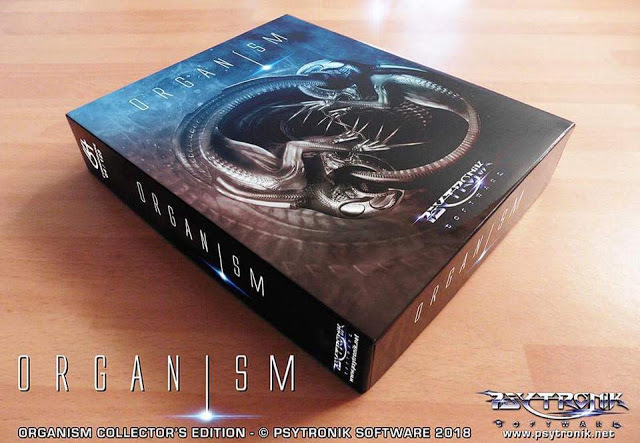 Indie Retro News: Breaking News - Organism finished, awesome looking new C64 release imminent! Breaking News - Organism finished, awesome looking new C64 release imminent! It's been less than one week since Psytronik released not one but two amazing C64 games on the same day: Lasse Öörni's Steel Ranger, and Pain n Aches: A Knight n Grail Adventure (Mikael Tillander, Håkon Repstad & Hans Axelsson). And today Trevor Storey has announced on Twitter that his latest game developed with Achim Volkers & Saul Cross; Organism is "finished" and another Psytronik release is imminent. Judging by the pre-release footage on youtube, and that amazing cover art, we are in for a treat! Trevor Storey has worked on so many games for C64 including Argos, Barnsley Badger and Soulless as well as Amiga, PC, Playstation, Nintendo 64 and others. There are too many to mention but you can see what he's worked on here: http://smilastorey.wixsite.com/trevor-storey/credits. My C64 gaming backlog is hitting crisis levels as I've only just beaten the first boss on Steel Ranger and I still need to review that, Pain, and Sam's Journey! But when so many talented artists and devs are making games for my favourite platform faster than I can play them, it sums up how great the scene is at the moment. And many more releases are being worked on all the time. Check out the phenomenal youtube footage above if you haven't seen it yet.